Thinking about going to South America? It´s worth it. Think mountains galore, ancient ruins, wild Amazonian jungle, incredible trekking and adventure experiences... just waiting to be discovered, and all this for cheap, cheap, cheap! Don´t miss out on your South American adventure. Check out our great deals below… and book any one of these before 15th June and get a 5% discount! Send us your best travel photo and be in to WIN a city tour + mountain bike trip in your choice of Cusco or Buenos Aires! •	WIN A FREE CITY TOUR + BIKE TOUR! 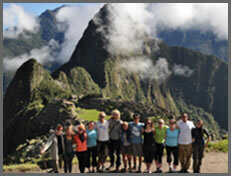 Want something different than the Inca Trail? More challenging? Different valleys, more of the Andes? You can take a train or even ride a horse! 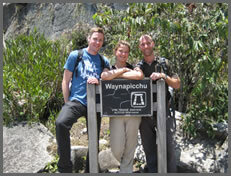 There are many alternative treks to Machu Picchu, offering different scenery in the Andes, and various levels of difficulty. One of the biggest must-sees of South America is undoubtedly the most incredible natural falls this continent has to offer. 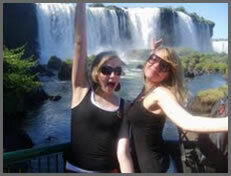 Experience our bus-packers 4 day tour and see both sides of the falls, from the Argentinean side and the Brazilian side. Always wanted to go to the Amazon? A beautiful green paradise, you can visit the Peruvian rainforest and have the experience of a lifetime. 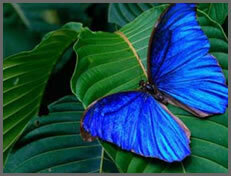 Join us to explore the jungle in the Peruvian rainforest. Visit Monkey Island,Lake Apu Victor and the Lost Cocha. Soar over the Sacred Valley like a condor. The Cusco region is full of fun activities to keep you busy, such as river rafting, horse riding and paragliding! 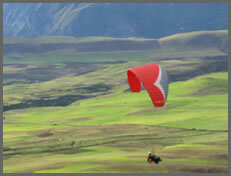 With dramatic scenery, the Sacred Valley is a beautiful, peaceful place to glide over the valleys from the air. 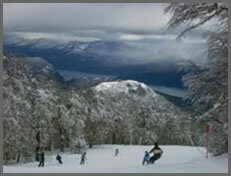 Las Leñas, Mendoza Enjoy a fabulous one week skiing trip amongst your Argentine holiday at the most famous South American resort, Las Leñas. Unlimited lift ticket for 8 days plus ski insurance, with accommodation included for 7 nights at Cirrus Apartments including breakfast and dinner. Special sale on until 26th June for $749, minimum of 2 people. 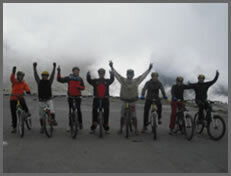 Take one of our bike trips, challenging or relaxing, you pick from the Sacred Valley, the Lares Valley, and many other surrounding towns in the Cusco region. OR take one of our bike tours around Buenos Aires, a great way to see the city! WIN A FREE CITY TOUR + BIKE TOUR! Send in by June 30th to info@dosmanosperu.com. Winner to be announced two weeks later. Buenos Aires, famed for its nightlife, architecture and buzzing cultural scene, makes for an incredible trip. Take a romantic weekend in Buenos Aires just for two, enjoying the exquisite restaurants and local theatre. 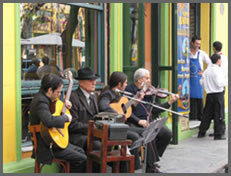 On Saturday morning take a tour around the city and in the afternoon stroll through the colorful neighbourhood of La Boca. 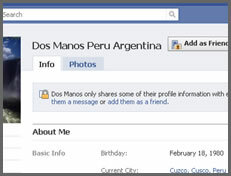 Keep up to date with all the latest news on our school and South America by becoming our Friend on Facebook! Become our Friend on facebook, and be in to win 5 free classes of salsa or tango! What are you waiting for?